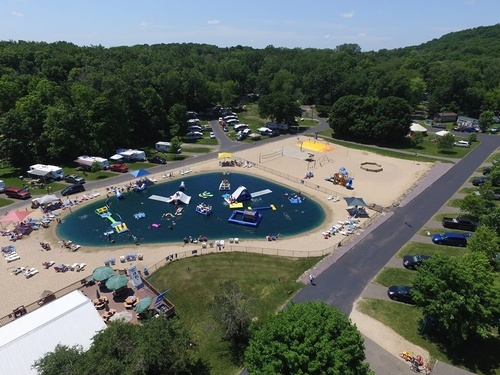 You have just found one of the BEST midwest campground for families looking for an instant vacation! Merry Mac’s Campground is a family friendly campground nestled between the South shore of Devil’s Lake and Lake Wisconsin. This 40 acre facility offers activities for all age groups: swimming pool, beach, swimming pond with water inflatables, jumping pillow, dunk tank, miniature golf, playground, sand volleyball, basketball, gagaball pit, trykes and bikes, friendly camp store surrounded by Mother Nature’s beauty!